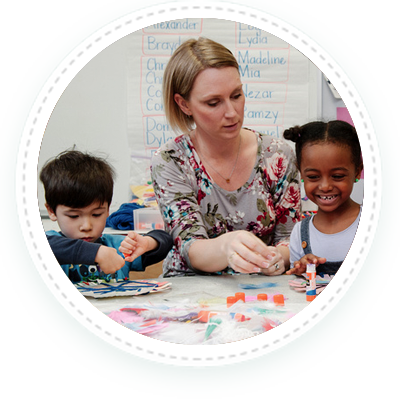 Each child is unique: we strive to meet individual needs through structured activities, discoveries, understanding, compassion, support, security, and respect. Children learn through experience: we provide many activities which encourage social interactions, expression of feelings, and self-concept. Children excel at what they enjoy most: we strive to instill a yearning for knowledge in each child by encouraging curiosity, providing rich and stimulating experiences, and expanding their horizons. Children are encouraged to speak standard English and to improve verbal skills in order to gain self-confidence. We educate through stimulating activities to improve sensory manipulative skills, problem solving abilities, and to develop good listening skills.